Hooves & Paws Animal Rescue is a nonprofit animal rescue organization which provides a safe haven for unwanted, abused and homeless animals. 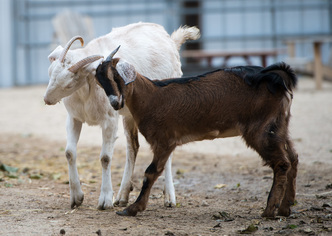 Once healthy and rehabilitated at Hooves & Paws, rescued animals are available for adoption. Animals who are not adopted are guaranteed lifelong care at our sanctuary. Hooves & Paws Animal Rescue was created to help abused, homeless and unwanted animals. Since 2002, we have been working every single day to rescue needy animals and provide them with lifelong sanctuary. When we started Hooves & Paws, we saw a need for a safe haven for dogs, cats, horses and farm animals who had nowhere else to go; and from the very first animal to come to our sanctuary, we have been filling that need. Very few organizations in the world are able to rescue the variety and number of animals we rescue and provide them with lifelong care. That is what makes the work of Hooves & Paws so unique and so important. With a small staff of volunteers and limited resources, Hooves & Paws has saved and continues to save a remarkable number of animals. When we rescue animals and provide them care at our sanctuary, their comfort and happiness is our top priority. The animals who come to Hooves & Paws have their own stories, come from different backgrounds and find our rescue in different ways; however, they all have one thing in common – no one else wanted them and no one else would save them. Our goal is to help these animals heal both physically and psychologically from their past abuse. By providing them with time, love, care and the companionship of human and animal friends, we encourage their overall health and happiness. In addition to saving the lives of needy animals, we work daily to spread the seeds of compassion so that the world is a better place for all. By inviting children and adults to visit our sanctuary, we are sharing our mission and the importance of our work. Thanks to the help of our volunteers, donors and supporters, we are able to make the biggest difference in these animals lives and give them the second chance they deserve. We hope you will join us and support our life-saving work as well. We believe that every animal deserves a home and a happy life and we work tirelessly every day to make that a reality for abused, homeless and unwanted animals. With your help, we can do so much more.